Microsoft Windows is the preferred operating system in most PCs (personal computers). Popular in both the personal and professional spheres, proficiency in Microsoft Windows and its functions can greatly improve efficiency and computer literacy. Microsoft Windows can be credited for the functional operation of computers across the globe. As a powerful and flexible system, it has become extremely popular in both personal and professional computer use. Due to its ubiquity in modern computer use, it is generally assumed that an individual has basic literacy in working with Windows. Without it, one may suffer in the job markets. Beginning in 1985 with Windows version 1.0, the operating system was cutting-edge in the world of computer software. Today, Windows 8.1 has taken on the latest advancements in graphic user interfaces. As such, a significant portion of computer users operate on Windows today. As of recent, Microsoft Windows has also branched into mobile devices such as smart phones and tablets. Microsoft Windows training programmes are available in all shapes and sizes. Whether you are familiarizing yourself with Windows for the first time, transitioning into a Windows upgrade or shifting from another operating system, such as Apple or Linux, there is a training course to suit your need. Still today, many individuals lack confidence in using Windows operating systems. With proper training, delegates can get rid of the confusion and intimidation of sitting down at a computer. Introductory Microsoft Windows courses are offered in both online, classroom and in-house formats for delegates of all backgrounds and are designed to cover basic Windows functions, navigation and customisation.. These courses are specifically designed to be hands on and each student will typically work on his or her own computer throughout the course. When it comes to learning new computer functions, there is no better method than learning by doing. Transitions in computer software can often be tedious and troublesome. Training and courses can effectively help both experienced and inexperienced computer users to smoothly phase into a new operating system. 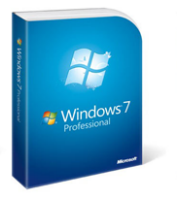 Microsoft Windows courses are available for the most recent versions as well as for specific tasks. These courses can be taken either online, in a classroom or as an in-house course for groups and companies. As in introductory courses, Microsoft Windows courses are most effective when each student is able to work on his or her own computer throughout the course. By experiencing new techniques in real time, students are much more likely to absorb new information in the long term. The Microsoft Office portfolio is made up of the software programmes, Outlook, Word, Excel, PowerPoint , Project and Access. All of these programmes are a staple in today’s office environment. Depending on the role of a professional, they may be required to use some or all of these programmes. Training in the Microsoft Office suite can be a significant boost to a resume or CV. Training and courses in Microsoft Office are available as total package deals which incorporate teaching on all the product components as well as focused courses which deal with only one MS product. For beginners, it is recommended to begin with Microsoft Word, Excel, PowerPoint and Outlook as they are the most commonly used in office settings.